The Site Coordinator works with volunteers, partners and the local community to provide students with the resources they need to succeed both inside and outside the classroom. Communities In Schools is cost-effective – for less than $200 annually per student, we are able to provide a comprehensive range of community services. 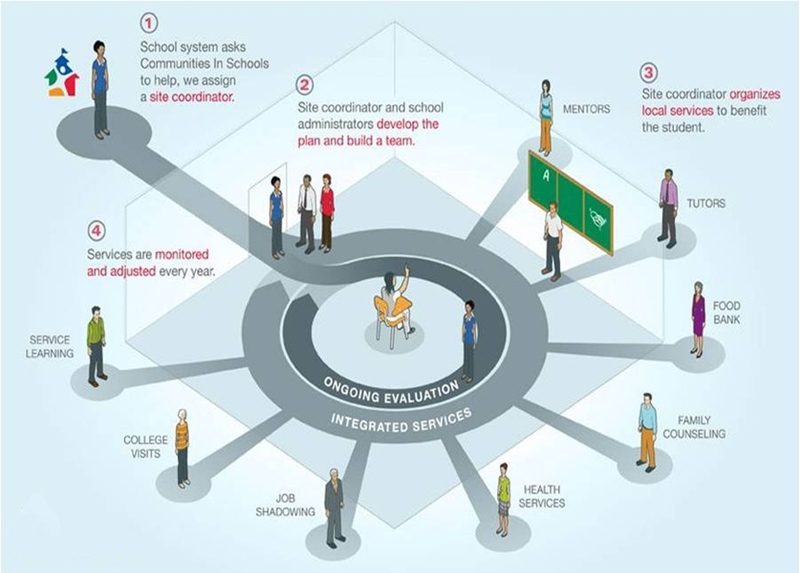 Troubled students and their families often have a hard time accessing and navigating through the maze of public and private services, through a school-based coordinator, Communities In Schools brings local resources inside the public school setting, where they are accessible, coordinated and accountable. Get involved today! Your support means so much to us. Please consider a DONATION or VOLUNTEER your time with us.